Computer system for pump control, receive input data for pump operation, and logging of well data. Main pumps and drives. 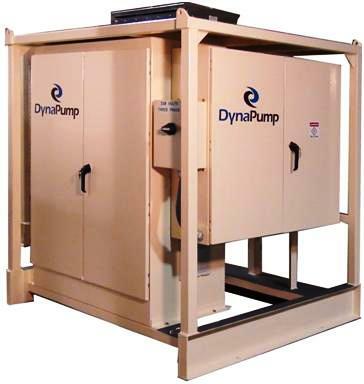 Pump drives can be either electric or gas engine driven. Solid-state electronics & motor controllers are employed throughout to ensure low-maintenance operation. Communication system transmits well and pump performance data by modem, radio transmitter or by direct phone line.